Explore the Dalmatian island and arrive in style aboard this elegant Elan 434 Impression that is available to charter in Zadar. This unique yacht has character, class and style, providing a wonderful opportunity to travel Croatia by sea. Suitable for parties of up to 9 guests, this Elan 434 has 4 good-sized cabins, 2 bathrooms and a well-equipped kitchen. You’ll also find ample seating space both in the salon and out on deck. Whether you are dining onboard or testing out your sailing skills in the Kornati Islands, you and your guests will experience the best of Croatia aboard this special yacht. 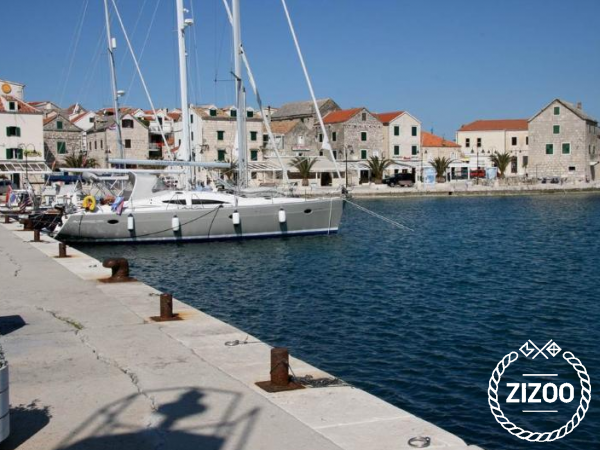 Plan your holiday with our guide to Zadar and 7-day sailing route.